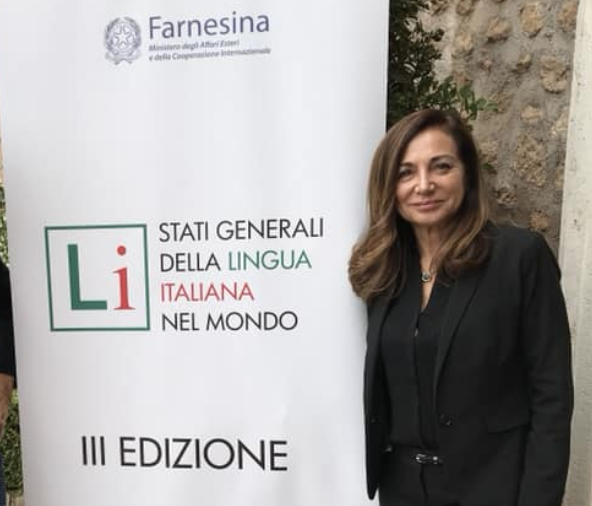 Maria Fusco in Rome attending "Gli stati generali della Lingua Italiana"
Despite a steep decline in foreign language studies in the United States, the number of Italian language students is growing. A report on the “General States of the Italian Language,” presented in October 2018 by the Italian Ministry of Foreign Affairs, revealed that the number of university students studying Italian in the United States increased from 64,449 in 2016 to 73,479 in 2018. The number of Italian language students at all levels and grades increased by 14% nationally. As more universities forgo foreign language requirements and government funding cuts international education, what is causing this rise in Italian language programs? A relatively small country, Italy has a population of 60 million inhabitants. Meanwhile, American and British power in the global economy has propelled English as one of the most commonly spoken languages in the world. Students in the United States are therefore less compelled to learn another language, particularly one they feel will not help them directly in their chosen career. However, Italy is the most popular non-English speaking destination abroad for American university students, according to a report from the Bureau of Educational and Cultural Affairs. Italy has always played an alluring, fantastical role in the foreign imagination, dating back centuries to the traditional “Grand Tours” of upper-class European men traveling there as a rite of passage. A vibrant country pulsing with ancient and Renaissance history, priceless artworks, breathtaking landscape, and rich, fertile soil that produces one of the healthiest diets in the world, Italy is the home of an enriching lifestyle. Maria Fusco left her native Rome in September of 2016 to become Director of the Education Office at the Embassy of Italy in Washington, DC. She wanted to promote her beloved country’s language and culture overseas, in a place that would make a significant difference. “It is time to consider learning a foreign language as one of the most important aspects – and assets – of education. When we learn another language, we embrace the cultural heritage of the country – and are enriched by it. We become more open-minded,” Fusco wrote, addressing the importance of foreign language programs in American schools. With almost thirty years of experience teaching foreign languages and literatures at all levels in Italy, Fusco used education to inspire change in her students, in her community, and within the education system. In Rome, Fusco became the first female principal at I.I.S. de Pinedo-Colonna, a technical institute that prepares future pilots and sailors. It was a “natural turning point” in her career to become a school principal in 2008, and guide other teachers in improving education. Her current role is an extension of that work globally, as she advocates for teachers and students of Italian language and culture in the United States. 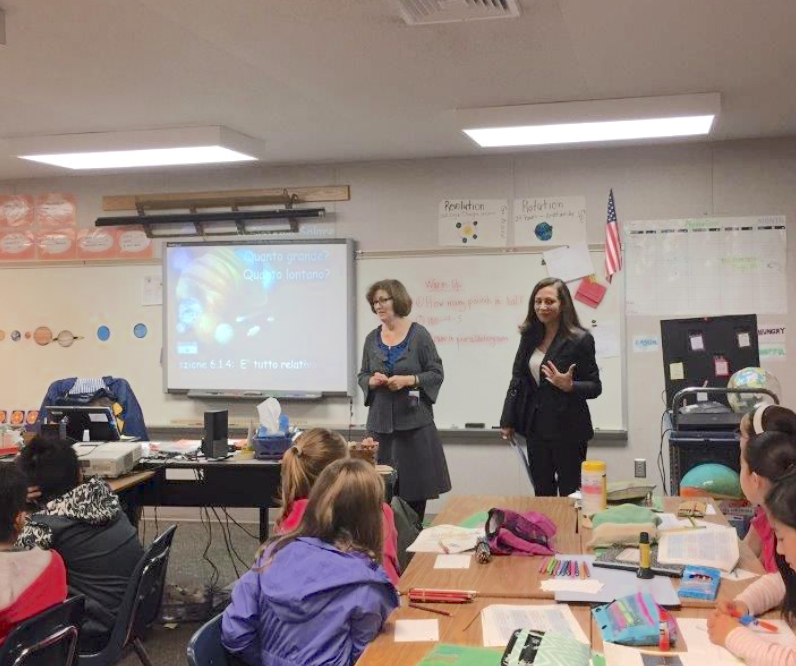 “I strongly believe in the need to motivate and encourage teachers and students. Thanks to the close collaboration between the Embassy of Italy and Eduitalia, an association that includes 94 Italian schools and universities, several scholarships for study trips to Italy are annually assigned to the most deserving teachers and students of Italian,” Fusco shared. This is a novel idea and an opportunity for American teachers and students to learn how to accommodate different cultures, work with a diverse group of colleagues, and gain a global perspective in an increasingly globalized world. Foreign language skills, however, remained a priority. Fusco’s experience extends beyond working with children and young adults. 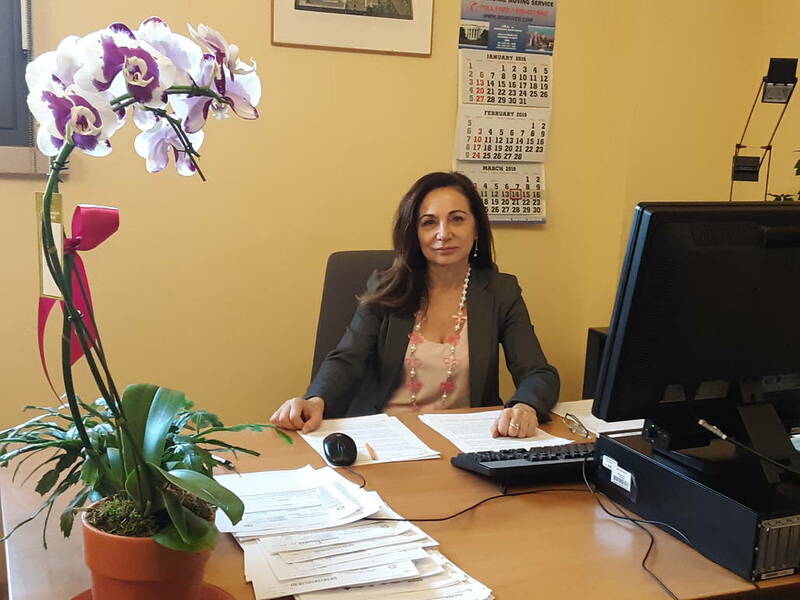 As principal of the Provincial Centers for Adult Education, she developed foreign language teaching activities and methodology for foreign adults working in Italy. “I learned that teaching Italian to non-native speakers is very different because, beyond grammar, the communicative approach is crucial. And it is very challenging,” Fusco added. The culmination of her impressive résumé, tied with a deep devotion to her native Italian language, led her to the Italian Embassy, where she coordinates seven education offices in the United States network, including Washington, DC, New York, Boston, Chicago, Philadelphia, Miami, San Francisco, and their surrounding areas. Thanks to the approval of Memoranda of Understanding (MoU) between the Embassy of Italy and the state and county school authorities in the United States, Fusco is involved in organizing training for teachers of the Italian language, and advocates for the need of Italian courses in local schools. “The Memoranda are institutional frameworks in which both the Embassy – or the Italian Consulates – and the Department of Education of the United States take responsibility for the expansion of Italian language and cultural education. Thus, we were able to include Italian courses in the curricula of designated elementary and middle schools, with a view to taking the Italian AP exam,” Fusco explained. “The whole course is a certification of sorts of the Italian language program,” she continued, referring to the opportunity to earn college credit for a course before American students even graduate from high school. Students who pursue Italian language study through the AP exam will “have access to the competitive and affordable Italian university system.” In Italy, the maximum expense for a state or public university does not exceed three thousand euros, for the students who are adventurous enough to move there for a degree. If students take Italian language courses in middle and high schools, they are more apt to take them in college, where most Italian language programs have been cut. Data from College Board, the organization that administers the SAT and AP exams, has shown a growth in Italian language AP test takers by 14% compared to last year, demonstrating the program’s success in embracing the American trend of standardized testing. This percentage of growth is higher than other common foreign language programs offered, including Chinese, Spanish, Japanese, and German. The number of schools offering the test in the United States also increased from 460 to 487. 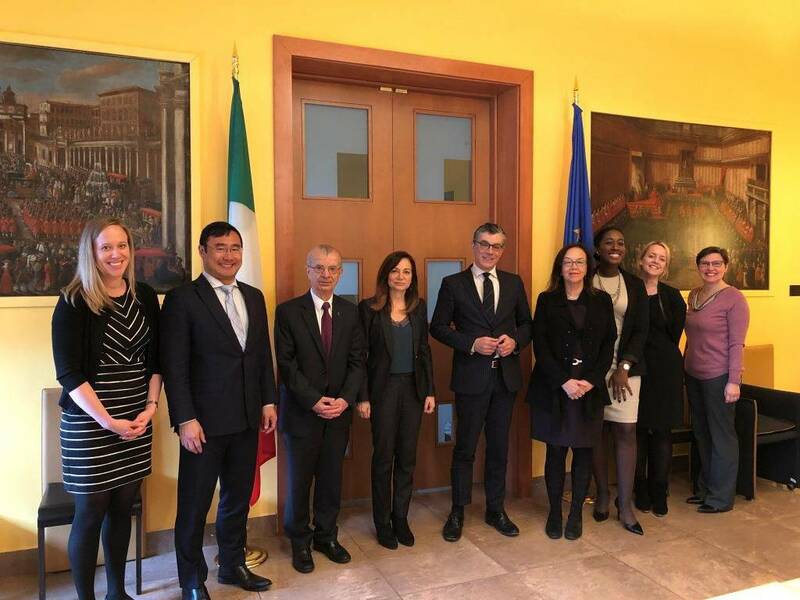 Through a new Memorandum of Understanding between Italy and the District of Columbia, finalized on February 13, 2019, the two entities agreed to collaborate to provide new opportunities for students and teachers to increase understanding of the Italian language and culture. This includes methods American students will find appealing, such as professional development, virtual and in-person exchanges between students in the two countries, and curricular resources. “Another important step for the development of Italian language programs at all levels here in the United States,” emphasized Armando Varricchio, Ambassador of Italy to the United States. According to the Strategic Plan approved by the National Observatory of the Italian Language in the United States, the increase in the number of Italian language students is linked to appropriate training for qualified teachers. The Embassy of Italy organizes two training days each year in cooperation with participating universities, and creates targeted handbooks for principals, superintendents, and counselors, also key players in the American school system. “I am convinced that the key to the academic success of students is the teacher. 'I bravi maestri', good teachers, are those who truly motivate students to learn Italian, and teach it as a 'lingua viva', an idiom that is very much alive and used in different fields, including by the business community. This overcomes stereotypes or commonplaces regarding Italy and Italians,” Fusco said of her work at the Embassy. There are many Italian Americans in the United States – they make up about 5% of the total population. Their ancestors immigrated to the country searching for better living conditions. But their grandchildren and great-grandchildren often choose to learn Italian in school to connect with their heritage and culture. Communicating in the native language allows students to embrace their family and homeland in a deeper, more valuable way than translations in English allow. Budget cuts to foreign language education reflect a larger reluctance in Americans to learn a foreign language, since English is steadily rising as the global language. Yet Fusco’s experience in the United States has revealed an undying reverence of Italian art, history, and culture, along with a willingness to protect the language in school systems. This strong admiration and regard derives from immigrants maintaining their Italian family traditions, communities, and food. It is also supported by stories passed down through generations. 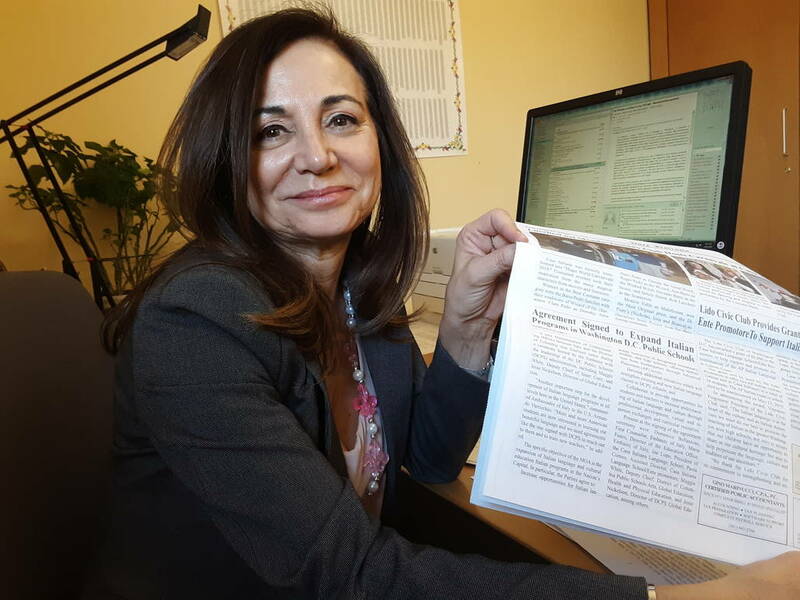 With this support, and all the “brave maestre” like Maria Fusco, the Embassy of Italy is promoting Italian language programs across the country.